UNITED NATIONS, Sep 9 2015 (IPS) - The 2008 Convention on Cluster Munitions (CCM) banned the use of these deadly weapons for two primary reasons: they release small bomblets over a wide area, posing extended risks beyond war zones, and they leave behind unexploded ordnance which have killed civilians, including women and children, long after conflicts have ended. As of last month, 117 have joined the Convention, with 95 States Parties (who have signed and ratified the treaty) and 22 signatories (who have signed but not ratified). At the First Review Conference of the CCM in Dubrovnik, Croatia, which began early this week, three States Parties – the UK, Canada and Australia – expressed reservations on a draft declaration on the use of cluster munitions. In a selective approach to the implementation of the treaty, the three countries argued they could not accept or endorse text that condemned any use of cluster munitions because they contend that doing so would interfere with their ability to conduct joint military operations with states outside the convention. The UK, which condemned the use of cluster bombs in Sudan, Syria and Ukraine this year, has refused to censure the use of the same deadly weapons by the Saudi-led coalition in Yemen. Not surprisingly, Saudi Arabia is a lucrative multi-billion-dollar arms market for the UK, which has traditionally provided sophisticated fighter planes, missiles and precision-guided bombs to the oil rich country. Steve Goose of Human Rights Watch and the Cluster Munition Coalition said if the Convention is to succeed, States Parties must condemn any use of cluster munitions, by any actor, anywhere. 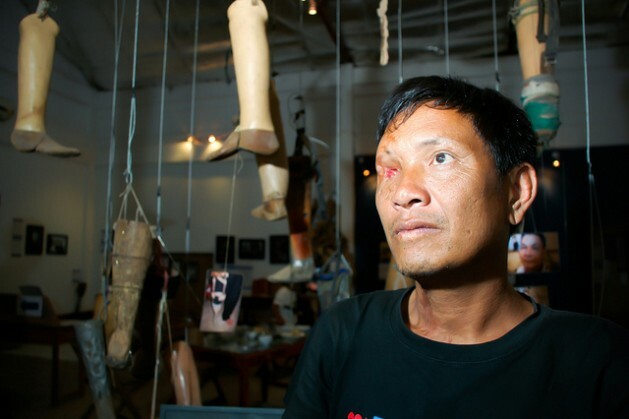 “States Parties cannot be selective about condemning, based on their relationship with the offender, or based on the type of cluster munition used,” he said. If a State Party remains silent about confirmed use, one can argue that it is in effect condoning use, and thereby failing its obligations under the Convention, he noted. The Cluster Munition Coalition believes the changes to the Dubrovnik Declaration sought by the United Kingdom, Australia, and Canada are contrary to the aims of the Convention, and would be a setback to efforts to stigmatise the weapon, and to prevent future use; thus, such changes could have the effect of increased casualties and other harm to civilians, Goose added. Thomas Nash, director of the UK-based weapons monitoring organisation Article 36, told IPS the UK has tried to block international condemnation of these banned weapons at a gathering of states who are parties to the treaty banning cluster munitions. The UK has condemned the use of cluster bombs in Sudan, Syria and Ukraine, he pointed out, but it refuses to condemn the use by Saudi-led forces in Yemen. “The protection of civilians must be non-political. By picking and choosing when it wishes to condemn the use of cluster bombs, the UK is playing politics with the protection of civilians,” Nash said. According to Article 36, prior to signing the Convention in 2008, the UK used cluster munitions extensively during the Falklands War (1982), in Kosovo (1998-1999) and in Iraq (1991-2003). The UK also sold cluster munitions to Saudi Arabia prior to 2008, but it is not clear whether these transfers included the types of cluster munitions used in Yemen. The UK has a legal obligation to discourage use of cluster bombs by any country and condemning the use of these banned weapons is the best way to do that, he argued. Nash said the UK has come under close scrutiny over its arms sales to Saudi Arabia and there are numerous concerns over that country’s compliance with human rights and international humanitarian law. Whether or not the UK refusal to condemn use of cluster bombs by the Saudi-led coalition in Yemen is directly linked to UK arms transfers to Saudi Arabia, clearly, UK policy in this area is highly dubious, he noted. “The best way for the UK to clarify this would be for it to condemn the use of cluster bombs by Saudi-led forces in Yemen,” he said. He also pointed out that the UK has historically been heavily influenced by the United States on the question of cluster munitions and, like Saudi Arabia, the U.S. would no doubt be displeased by the UK condemning any use of cluster munitions by any actor. “So this is likely to be a factor as well,” Nash added. The U.S., he said, continues to finds itself on the wrong side of history when it comes to cluster bombs and the UK, having signed and ratified the ban treaty, needs to choose which side it wants to be on. Saudi operates the Eurofighter Typhoon and Tornado fighter planes. Under BAE (British Aerospace) Systems’ Saudi Tornado Sustainment Program, BAE recently upgraded Saudi’s Tornado IDS (Interdictor/Strike fighter bombers) and air defense Tornado F3 fighters to extend service life through 2020. Both the Typhoon and the Tornado are frontline fighter planes and have been playing a central role in the Yemen bombing campaign. Meanwhile, the air force also operates Hawk 65/65A trainers. They have the Paveway IV precision-guided bomb from U.K.-based Raytheon Systems and the Storm Shadow air-to-surface cruise missile from MBDA, a French-Italian-British defense contractor. She said Saudi Arabia was described as the first export customer for the MBDA Meteor missile in February this year, having signed a contract worth more than 1.0 billion dollars.